This Alfa Romeo 4C Performance Suspension Kit is going to keep you stable through those rough patches and tricky turns. 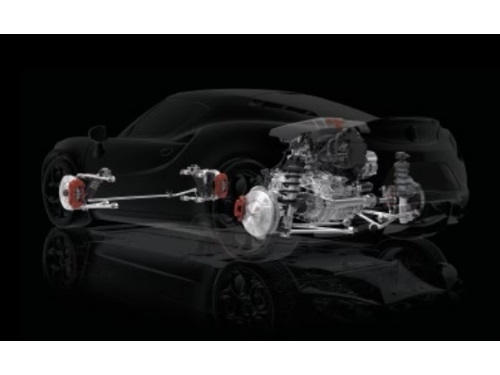 The suspension kit adopts race-derived technical solutions to optimize performance and deliver unrivaled driving pleasure. At the front, the Alfa Romeo 4C features a double-wishbone configuration that gives direct and unfiltered feedback from the road. At the rear, the advanced MacPherson suspension ensures superb road holding and driving fun, even in the most extreme maneuvers. Made from aluminum and high-strength steel.